RUSH: Talk about how things have changed, in my first year, sometime between August of 1988 and September of 1989, there was a woman that called here, and she’s a big fan, and she was scared to death that I was going to be arrested for some of the things I was saying about the Kennedys, in public. And she was serious. We were playing a song, a parody of The Wanderer, by DiMucci, Dion DiMucci, called The Philanderer, sung by Ted Kennedy, and this woman was scared to death I was gonna get arrested. And she was serious! “You can’t say things like that about the Kennedys in public.” It hit me at that time, can you imagine what — she’s just a common citizen. She had not been arrested for anything herself. You just didn’t say these things in public, you just didn’t, and not get arrested for it or have some trouble descend upon you. 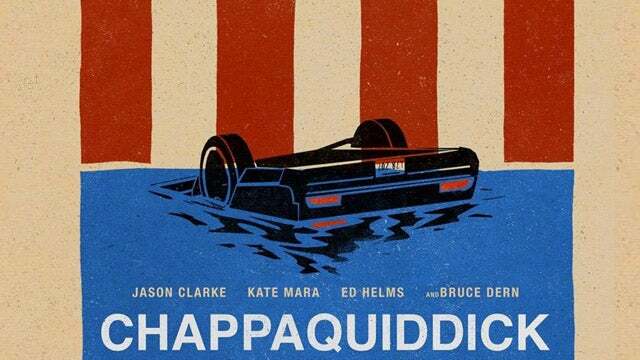 Speaking of the Kennedys, folks, you might have heard about the movie Chappaquiddick. You may have seen references to it, people talking about it. As a powerful, influential member of the media, I have seen it. And you talk about things that you can’t believe got made. I cannot believe this movie got made. This movie is exactly what happened. If this movie had been made within a year or two of the event, Ted Kennedy would have been finished then. If the actual true story of what happened at Chappaquiddick had made the news in the immediate aftermath of the event, that would have been the end of Ted Kennedy’s political career. Chappaquiddick happened, what, 1969. And it has taken until 2018 for the truth of that event to be told in a mass media. The movie opens April the 6th. Kate Mara plays Kopechne, plays Mary Jo Kopechne, who was left to die in a submerged car driven by Senator Kennedy, went off the Chappaquiddick bridge or the dike bridge at Chappaquiddick. He swam to safety and just told lie after lie. And the movie depicts how the Kennedy family and all in it banded together to protect Kennedy, how corrupt law enforcement was at the time. It illustrates how the Kennedy family was living in a separate universe and were accountable for nothing that they did. And as I say, I cannot believe it got made. And it’s a real movie. It’s not some cheap knockoff that was put together in some two bit sound stage. It is a legitimate, full-fledged movie that looks every bit as majestic and theatrical as any movie of its name. I’m not talking about special effects, it’s a serious movie production. It’s not B, cheap, or any of that. And it debuts on the 6th of April. It’s amazing. It stands to reason that it gets made after Senator Kennedy had passed away. If this had been made, come out during his life, that would be the end of his career at that moment. And it clearly illustrates that it should have been that, shortly after the event happened. Do you remember the details of the story? (interruption) You just remember the highlights. Do you remember the Edgartown police? Do you remember Kennedy wearing the fake neck brace and all that? Public sympathy and so forth? There was no inquest. Just all kinds of things, I mean, everybody that was in law enforcement, the Kennedy family came together to rewrite that story. (interruption) Oh, she was left to die for hours before he even told anybody it had happened. Well, the whole event was kind of suspect. It was a party. It was in July. It was on Chappaquiddick and it was a bunch of women that worked for Ted Kennedy at his office and other people. And it was a typical Kennedy drinking party, typical Easter weekend with the Kennedy family, although it wasn’t Easter. It was in the summertime. Anyway, when it comes out, I predict it’s gonna be well attended. But again, I can’t believe it got made given Hollywood of today. Or yesterday, for that matter.